Aluminum foil is a work horse when it comes to entertaining. Here are some special uses! Wrap your freshly baked goods in a napkin and place a layer of aluminum foil underneath. 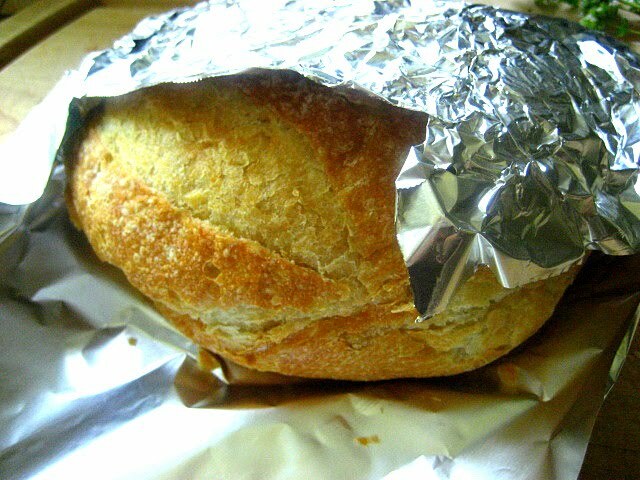 The foil will reflect the heat and keep your bread warm for quite some time. Covering the edges of homemade pies with aluminum foil prevents the crust from getting overdone and burning. Also covering the legs of a whole turkey prevents them getting cooked before the rest of the bird. By forming a shaped mold with a double layer of heavy-duty aluminum foil, you can make heart shaped cakes, tree cakes, etc. Make a disposable drip pan slightly larger than the meat on the grill out of a couple of layers of heavy-duty aluminum foil. Wrap a piece of hardened brown sugar in foil, bake it at 300F (150C) and it will become powdery again. Form a piece of heavy-duty aluminum foil into a tube and fill it with free-flowing frosting. 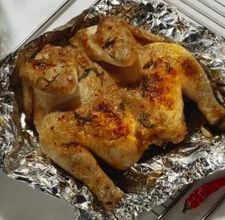 Crumple up the foil and use it to easily scrub off the burned food. 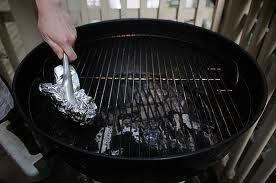 Lay a sheet or two of aluminum foil over the rack below to catch drippings. Do not line the bottom of the oven with foil; it could cause a fire. Just cover a piece of cardboard with heavy-duty aluminum foil. Previous Previous post: BBQ Time!!! Real nice pattern and good content , very little else we need : D.